Honestly speaking, I have never been somewhere outside of East Malaysia. So that obviously tell that I've never been anywhere else in the world, not even to our neighbour country Singapore *sad life*. My long time dream is to travel but I never had a chance to seriously plan one. 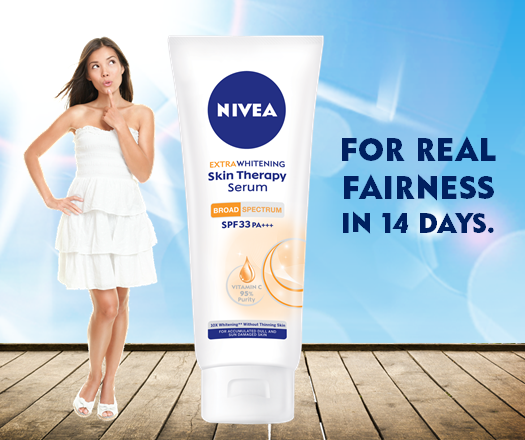 NIVEA Extra Whitening Skin Therapy Serum: Get Fairer in 14 Days + Giveaway(Closed) ! Do you yearn of healthy, hydrated and fair skin? Do you ever do the mistake on focusing on making only your face to be fairer and neglect the other body part? Well, I don't know about you but I've done that mistake before. I didn't realize my poor skin needed some love too. But Nivea realized how much women want a healthy, hydrated and fair skin. Therefore,one of the latest addition in Nivea's product range is the all new Nivea Extra Whitening Skin Therapy Serum. Something that can help us achieve a fairer skin as soon as 14 days?! But how it does that? Let's get into the product review! 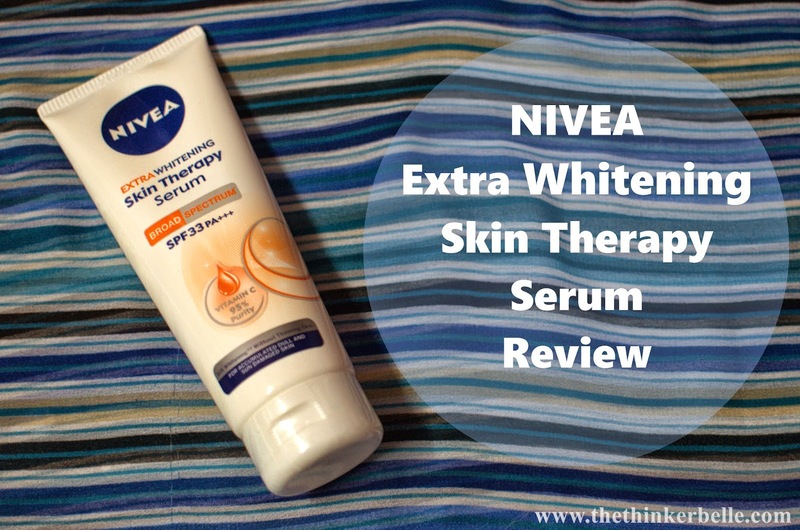 Nivea Extra Whitening Skin Therapy Serum is a body care product that uses the Broad Spectrum technology and also have a SPF33PA+++ that protects our skin from the harsh sunlight. Well you never thought that even our body needs serum right? Me too. Anyway, I decided to start my 14 days of Nivea challenge by focusing on this three aspects! Enough hydration, a well balanced meal and a protected skin. How do I do that? The word hydration is a mantra to a smooth, fair and glowing skin. Make sure you consume plenty of plain water, at least 2 litre a day. Harsh weather and air conditioner will make our skin becomes dry. 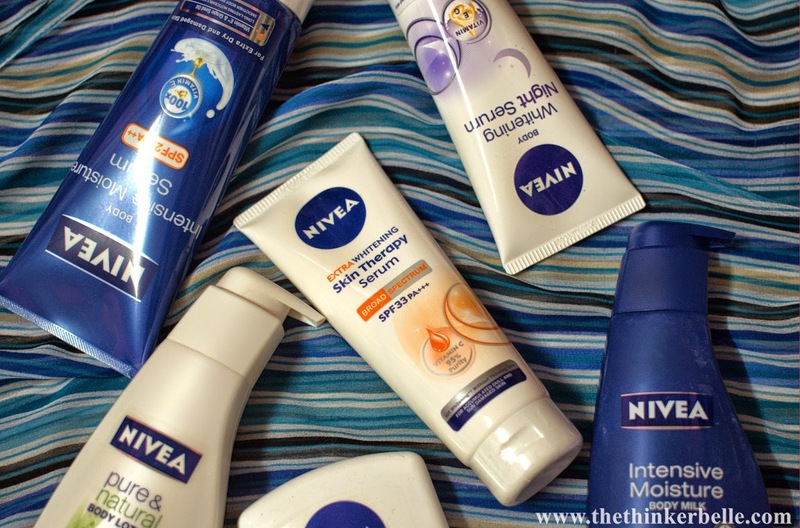 I also use the Nivea In Shower Skin Conditioner everyday to give extra boost of hydration on my skin! 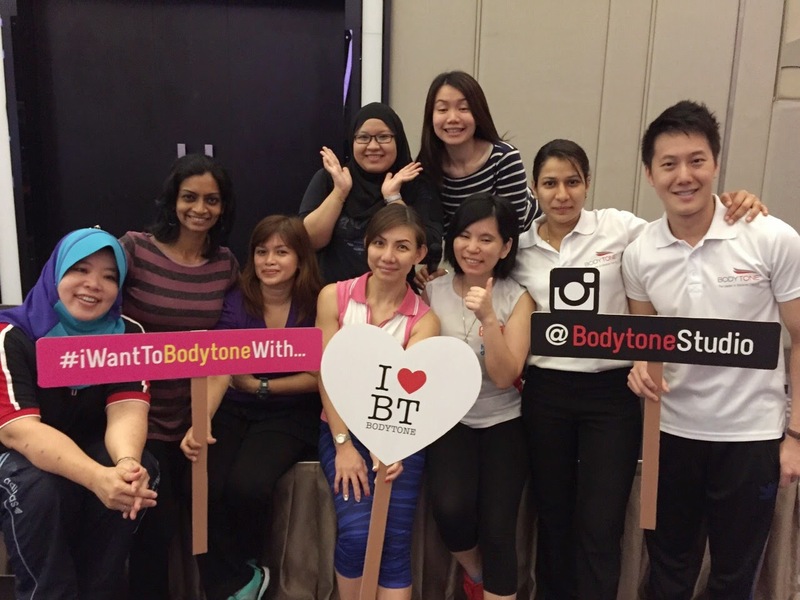 Just like the face need a moisturizer to stay fresh, we shouldn't neglect our body too! 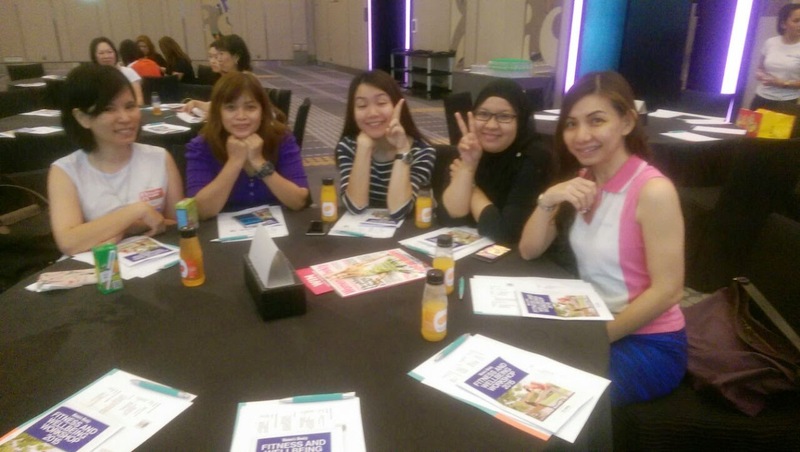 To achieve fairer and glowing skin, enough and well balanced nutrients is crucial. Eat a lot of fruits and vegetables as it'll help for skin repair. 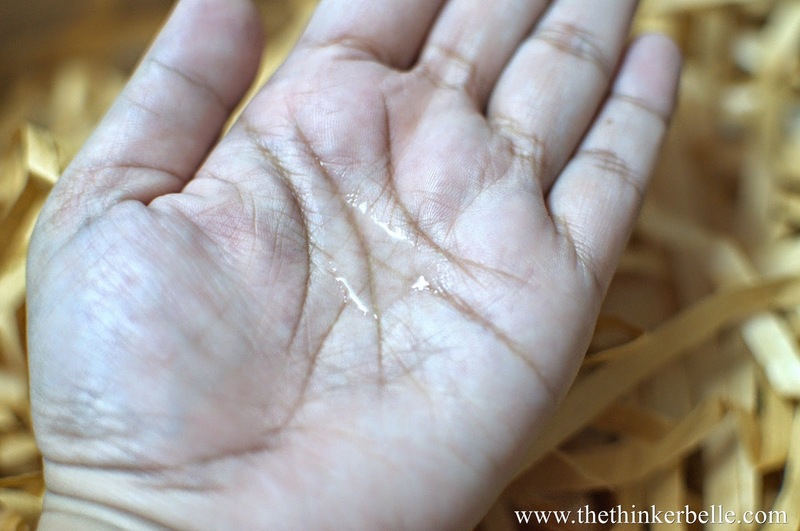 I tried researching over the net on foods that will help to improve skin complexion. The most mentioned are green vegetables, milk, yogurt, and proteins like fish and meat. Nobody goes to a war without an armor! To battle out with the unpredictable weather, the sun rays etc, make sure your skin is protected enough. And thus, here comes the role of Nivea Extra Whitening Skin Therapy Serum. It has many benefit for your skin not only help in protecting them but also to repair the damaged one. I've got some great news! 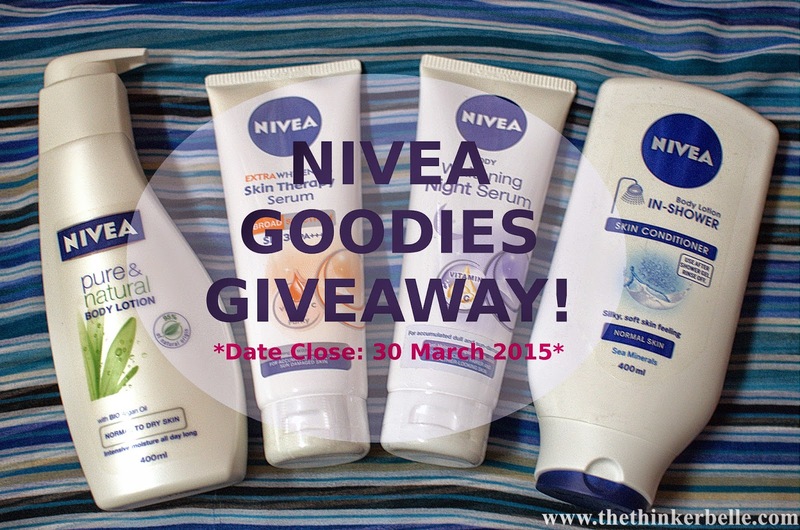 I'm giving away some Nivea goodies for ONE lucky reader so that you can start your own 14 days challenge. All you have to do is follow the simple instructions below. This giveaway will end 30th March 2014. Please note that this giveaway are open only for readers with Malaysia address. 1. Must Follow this blog. 2. Like The Thinker Bella Facebook Page here. 3. Share and Like the post I shared on Facebook here and tag 3 friends. 4. Leave me a comment that start with "I want to have a fairer and healthier skin because..."
I have a confession, I don't really exercise. I'm bad at all kind of sports and I'm afraid of anything that involves a ball because I once got hit by a soccer ball when I was a kid; and that experience was scary enough that I can vividly recount that experience. Anyway, that is not the point of this post. I realized that I need to be active to keep healthy so when Kak Ella from Dari Jari Jari Halusku asked me to join her for a fitness workshop, I said yes. 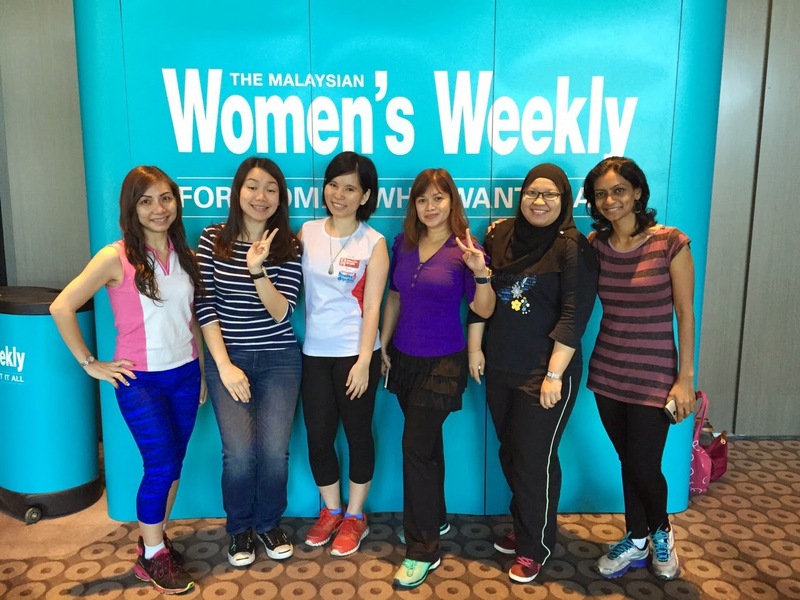 The Fitness and Well being workshop was organized by the Malaysian Women's Weekly magazine and was held at the Le Meridian Hotel near KL Sentral. As I'm writing this my whole body are actually still aching from the exercise that I did during the workshop (edit: wrote this one week before). It's not a blogger event but a paid workshop that cost me some money but I need to say that it was worth every cent spent! And the best thing about that day was that a few other bloggers from The Butterfly Project also registered so we had a blast in each other companies. This was the hardest yet the most fun part. It's been awhile since I did such vigorous steps like that so I was struggling to catch up. Thank God my partner was cool enough and keep encouraging me. We laughed like crazy as we tried to follow the coaches instruction. It felt refreshing too! 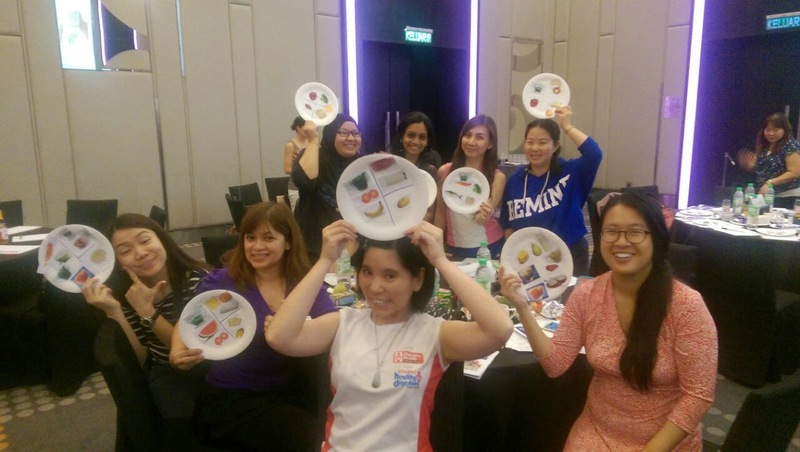 We did some fun activities trying to figure out meal plan that would follow the daily serving intake for every food classes. There was also a cooking demonstration from a chef from Nestle showing us how to make a few simple dishes. The chef was also very entertaining and easy going so we laughed so much listening to his antics. One more special part is a detox class where we were shown how to make a Green Juice made of banana, spinach and dragon fruit and I actually really like it! We also received a goodie bag worth and I've got to say there were lots of stuffs in it! 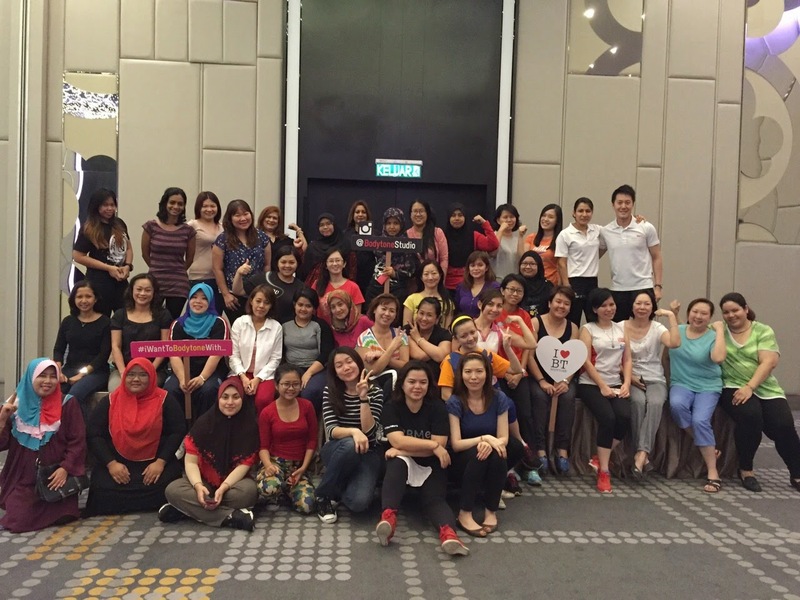 In overall , it was a very fun experience, and seriously we were having so much fun exercising, mingling, eating and taking pictures together. Last but not least thanks for everyone who were there with me and thank you for letting me use your pictures! 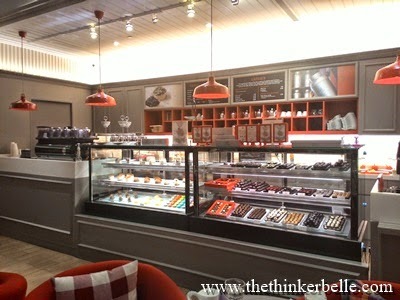 You can also check out their blog here: Meena, Betty, Elena, Kak Ella. 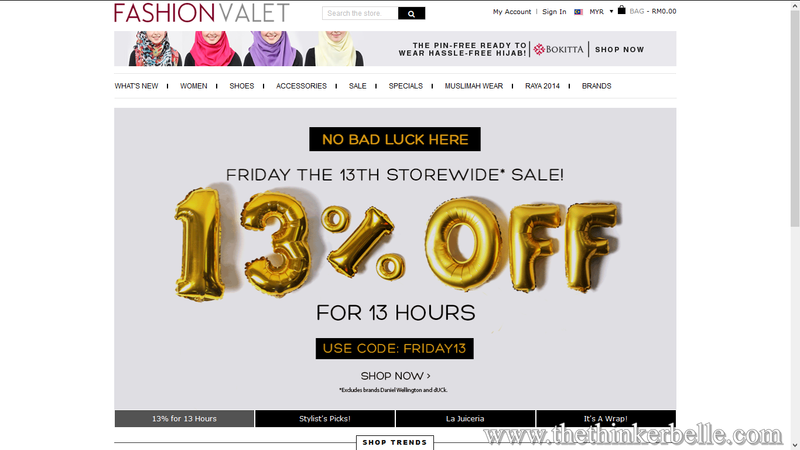 Today is Friday 13th and as we know there are always huge sale online on this day. So I'm feeling extra helpful today and I decided to compile some of the sales for you guys to check out! Supermodel Secrets is offering 20% OFF storewide today. Just click on the link and key in discount HERE coupon 2020 during checkout. And while you are at it, you can also check on Hermo's Yadah March Specials with up to 60% discount HERE . The offer will last until 31st of March. Hermo is one of my favourite online store as I mentioned in my Top Favourite Online Shopping Site for Beauty Products. I love watching movies but somehow I think I don't go to cinema as often as other people my age. Most of the time its usually because I have no time to go and when I already have my schedule cleared, everyone around me have already watch the movie I want to watch. Yes, it's sad sometimes but don't laugh at me! About a week before Chinese New Year, I received a pleasant surprise from Natta Cosme on my door step. 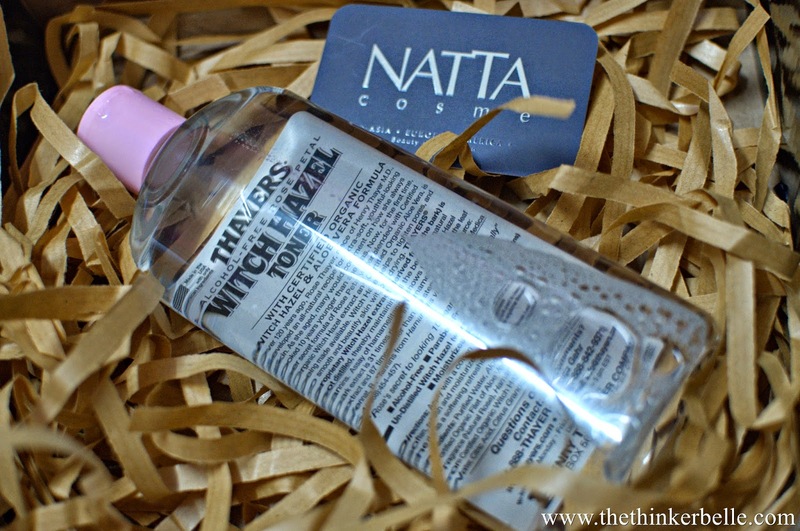 The parcel contains a big bottle of Thayers Alcohol Free Toner in Rose Petal Witch Hazel with Aloe Vera. It's so big that I'm pretty sure it will last quite long even if I use it continuously every day. Also came in the box was a greeting card from Natta Cosme staffs wishing me a great CNY holidays. They are so nice; thank you for the sweet wishes! 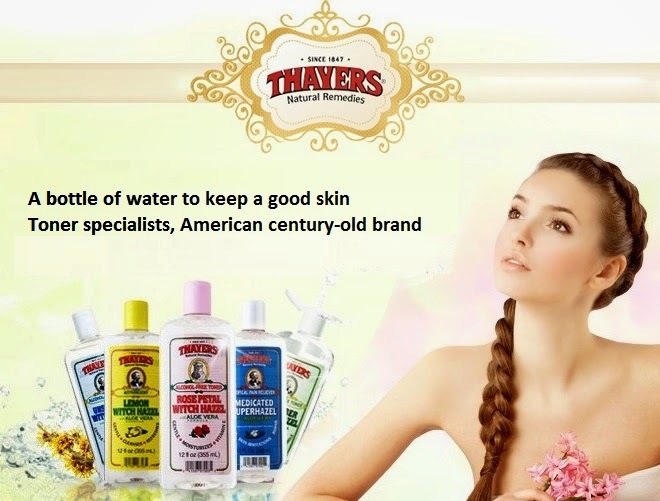 Thayers is an old American brand which was founded since 1847 and for your information that was 168 years ago. To last this long, you could say that brand really have great product and loyal user. The amazing this is, this brand doesn't have any other type of skincare product in the market and only stick to toners. 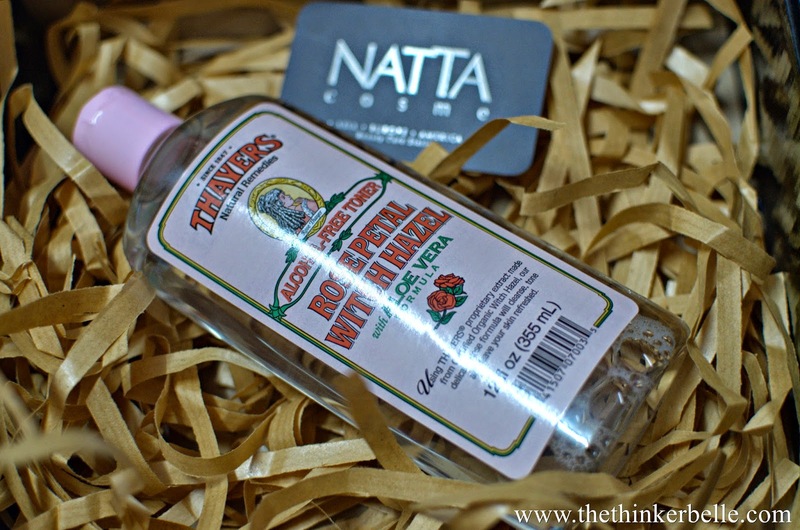 Main ingredients of this toner includes rose-petal water, vitamin E and Witch Hazel extract. It helps to moisturizes and cleanse face. It's also fragrance-free. You might find this a bit confusing so I did a bit of research for a better understanding. 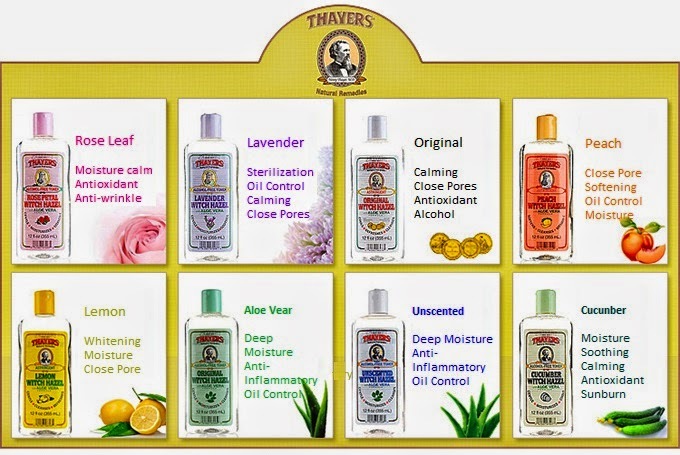 There is a difference between a fragrance-free product with unscented product. Fragrance-free means that a product has not been added with fragrance. Fragrance is a substance that contains complex mixture of ingredients from both natural and synthetic source. An unscented product means the product has no additional scent added to change the original smell of the product. For example, a product cannot be claimed as unscented even if the maker doesn't add fragrance in it. Once a 'scent' is added; for example from essentials oil, aromatic extracts or fruit/flower distillate water, the product is now is not unscented. You can read more on them here. Other than the above this toner is also alcohol-free, paraben-free and pthalate-free. It's also hypoallergenic. My first impression about this product is how nice the scent is. Like I said, one bottle is huge so it'll take some time to finish it all. I have a dry skin so some toner can be a bit drying for me. Since this product is alcohol free it doesn't make my skin feel dry. The product is feels gentle on my skin and they are no any weird reaction when I use it. It doesn't give any sticky feeling after application either and that is one great point for me. I've seen some comments saying this product can be a great to use as a brushes cleaner so I might give that a try too. If you want to give it a try in conjunction with International Women Day, here is a RM10 discount coupon if you purchase RM80 and above. Just key in the coupon code upon payment. 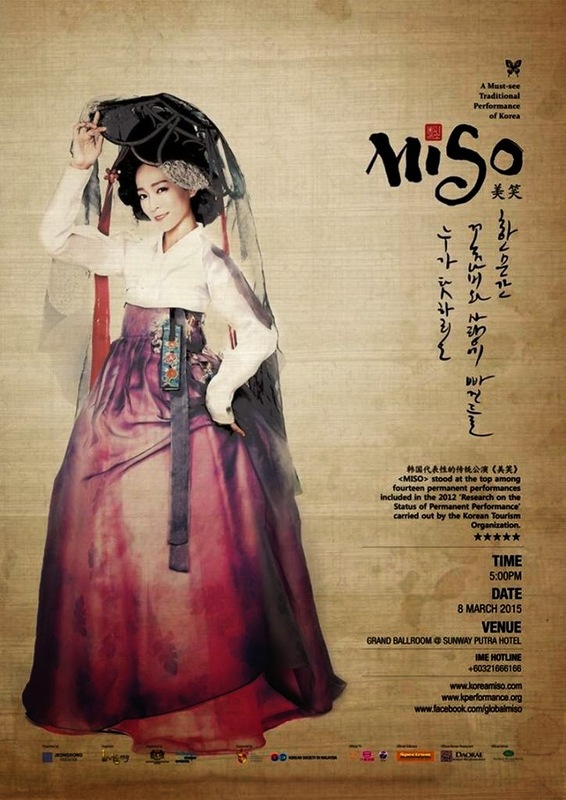 Last weekend my lucky streak was on a roll as a fellow blogger Miriam of Miriam Merry-Go-Round offered me a pair of tickets to watch Miso: Baebijang-jeon, a Korean traditional performance at Sunway Putra Hotel. She got them from a blogger friend too, so thank you Vera Soo. I was supposed to be going with my best friend but due to unexpected situation, I ended up going with my brother. 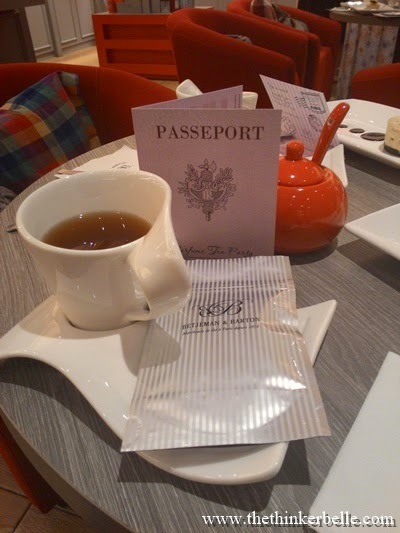 I'm back with the promised part two of my Tea and Perfume experience with Betjeman & Barton and Bisou BonBon. If you missed the part one, you can find it HERE. 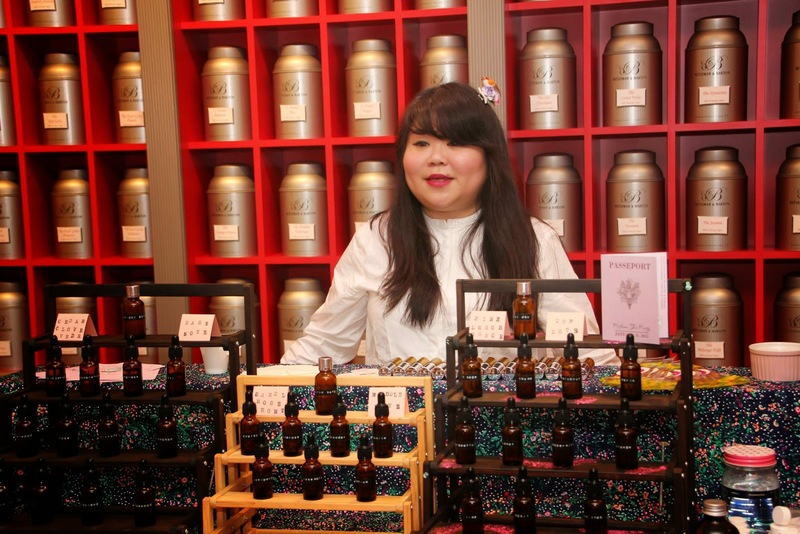 So now, it's the time for me to share my perfume making fun at the Bisou Bon Bon perfume bar. TOP NOTE is the first scent you'll notice once you spray your perfume. The top note scent is the one that will evaporate the quickest. Usually top note scents are light and fresh or easily noticeable to make an impression on the wearer. MIDDLE NOTE will become more noticeable just as the top note dissipates. The scent in middle note will be 'heart' of the perfume and often act to mask the base note scent that usually tend to be stronger and 'deeper'. Middle note usually stays on wearer around 2 minutes to one hour after application. 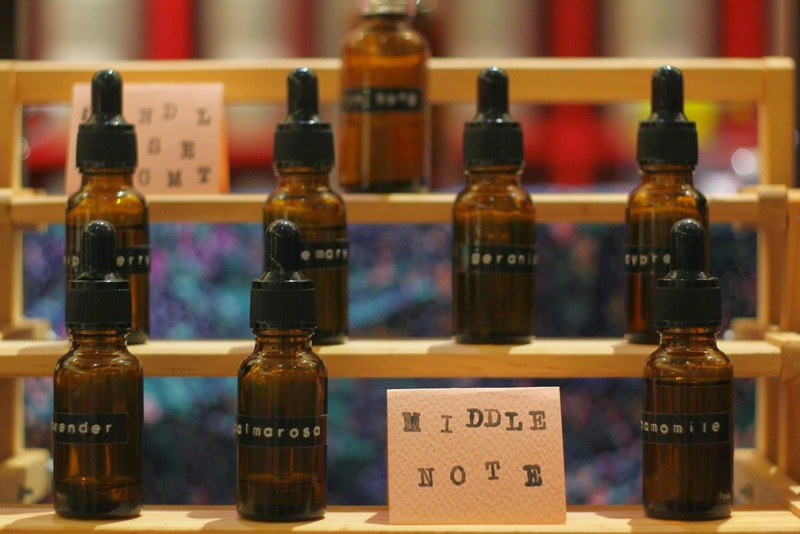 BASE NOTE usually brings depth to the perfume and gives solidity to the scent. They're usually rich scents that would emerge around 30 minutes after application. Now that you are well versed on the three notes, let's move onto the process! Just like baking, making perfumes need us to be precise on the amount used to that all the scents will mix well. The first part of my perfume making involve me trying to pipette 2ml of oil into the mixing bottle. Next I arrived at the first challenge of this perfume making; choosing the base note. 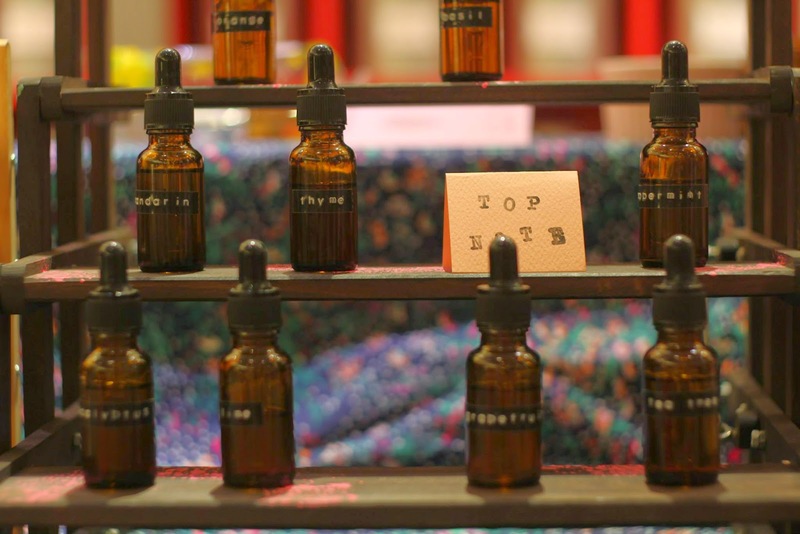 We were instructed to use 15 drops of scented oil for base scents in our perfume. It was advised for us not to mix more than 3 different base scents because if we do, each scents will overlap too much leaving no distinct base note scent. The middle note need 9 drops of scented oil and the top note uses 6 drops. After a few minutes of sniffing each scents for each notes, I ended up choosing 3 base note for my perfume, 2 different middle note scents and only 1 top note scent for my perfume. After mixing all three notes, the final step is to add 20ml of alcohol in the mixture. The mixture will need at least 48 hours to mature before can be used but it is the best to let it sit and mature for 6 weeks. It's still a long way to go before the day I can open my perfume mixture. I'm so excited how it turns out that I've already put a big mark on 14 March on my planner. Bisou Bon Bon also provided a small tube of water that we will need to add into the mixture once the opening date arrive; and after that, we can put the mixture into the sprayer bottle which is also provided for us. Voila! After that, I'll have my own perfume made from my inspiration. Shelby wanted us to share the name we choose for our perfume but for now I have no idea what I will give it. I will share the name once I open my perfume next month! I hope I'll like how it would turn out in the end. Bisou Bon Bon is open for hire for any events or occasions so if you're interested, I've provided some information about the perfume bar down below. 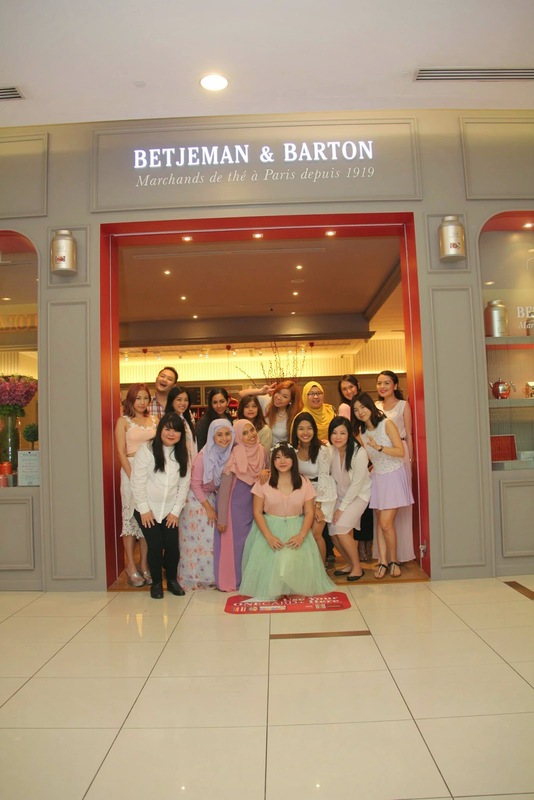 To conclude my two part of Tea and Perfume posts, I would like to thank Butterfly Malaysia, Betjeman & Barton and Bisou BonBon for letting me be a part of such a fun event. Tea and perfume, those words reminds me of things that would actually come straight out of a historical romance novel. Well, especially the 'tea' part. It does reminds me a lot of my favourite series by Julia Quin which are known as the Bridgerton series. The characters in it spent quite a lot of time in their salon sipping tea and chatting about handsome young suitors. 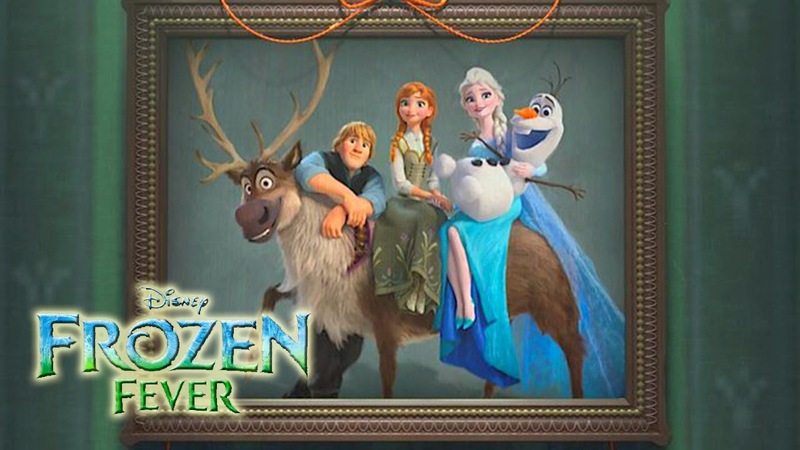 Oh god, talking about it makes me want to start reading the 8 siblings love stories again. It's a really great read so I totally recommend them! 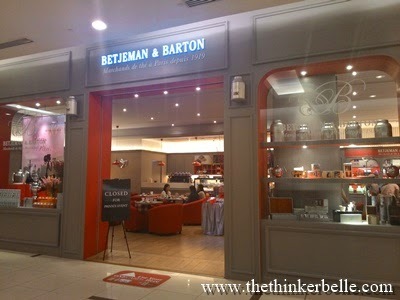 Anyway, all these rambling about teas is actually me wanting to tell you guys that I was invited to an awesome tea party at the Betjeman & Barton in One Utama not long ago where all we did that day was to mingle, eat some amazing dessert, drank some delicious tea and make our own perfume from Bisou Bon Bon perfume bar. I mean how many time in my life I would get the chance to be my own perfume creator? When I arrived, I was greeted by the Betjeman & Barton bright red interior which would be almost impossible to ignore. And don't get me started on the decorations, it was so beautiful! 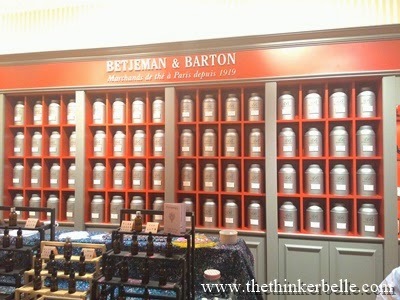 I just love the layout inside, especially all those big jars that contains so many different tea which I haven't even heard of before. I have so many things to say about the interior but let just let the pictures talk. 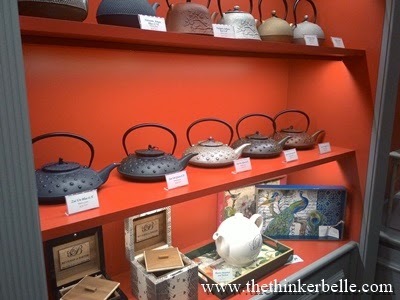 decoration teapots that are so cute! I'm definitely a coffee person, but I won't say I don't enjoy tea. 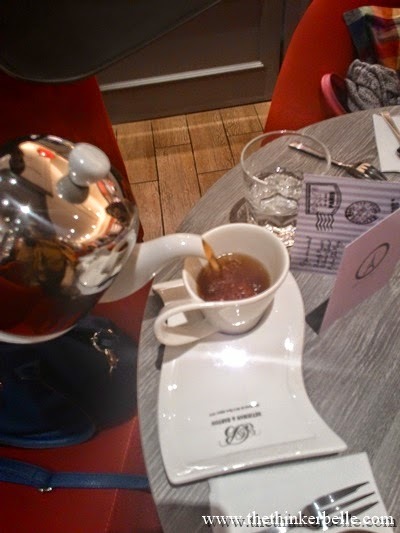 That's why when we we served with their best seller Pouchkine tea, I enjoyed sipping it to the very last drop. It was delicious and I don't even add any sugar in it. Sometimes I like my tea plain just as it is. 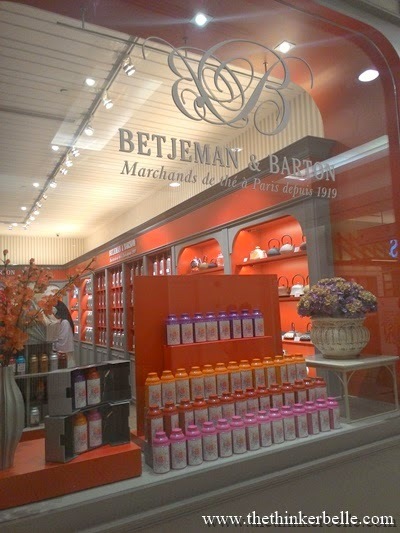 Speaking of Betjeman & Barton, it was actually founded in 1919 in Paris. So old right?! 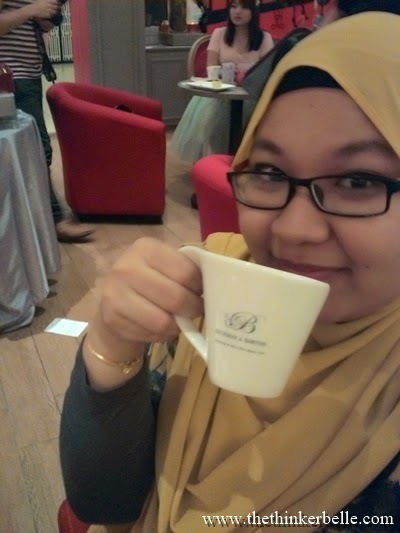 Now, they've bring their French tea brewing skill for us in Malaysia so make sure you visit them in One Utama Old Wing. I'll put their location right at the end of the blog post for your convenience. 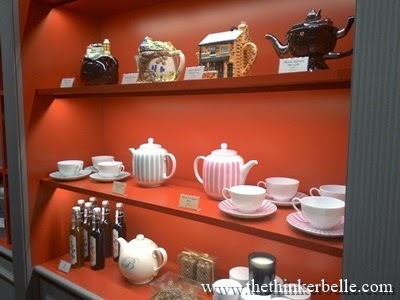 Don't worry if you're not exactly a tea person because seriously, with all the tea selections there will definitely be something bound to your liking or else; you could just enjoy their various selection of treats. 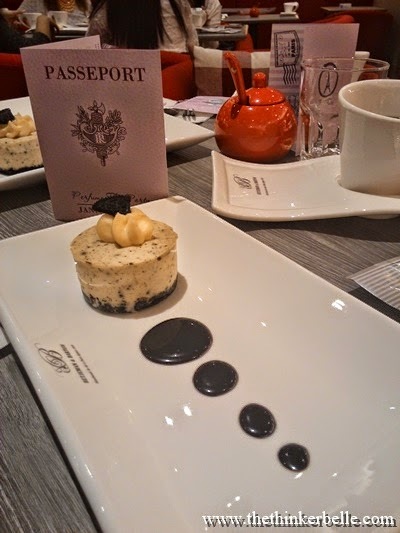 Out of the dessert served that day, my favourite is strongly tied between their pleasantly delicious Oreo Mousse de Fromage and the super amazing Raspberry Macaroon. 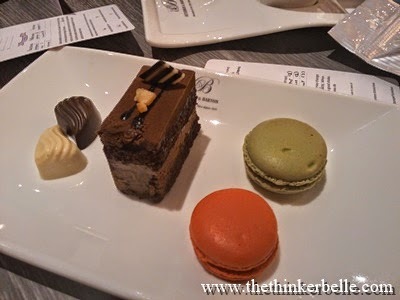 We also had the Orange Chocolate Cake, Green Tea Macaroon, Pure Milk Chocolate and Pure White Chocolate. In the middle of the tea party, a make your own perfume booth has been neatly set up for us by Bisou Bon Bon owned by Shelby. I was so excited about this one because it reminds me of the old school days of pipetting solutions to make some kind of chemical reactions but this time it's much more fun! 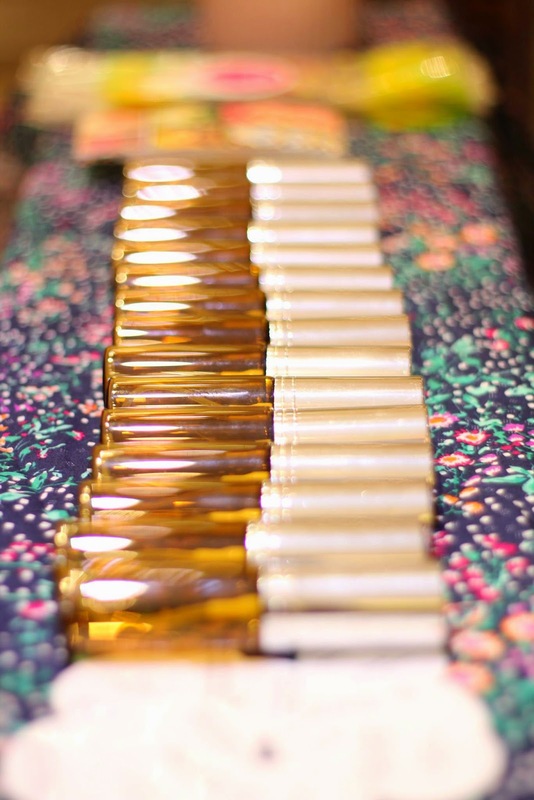 Are you curious about how my own signature perfume is made? Read them HERE! 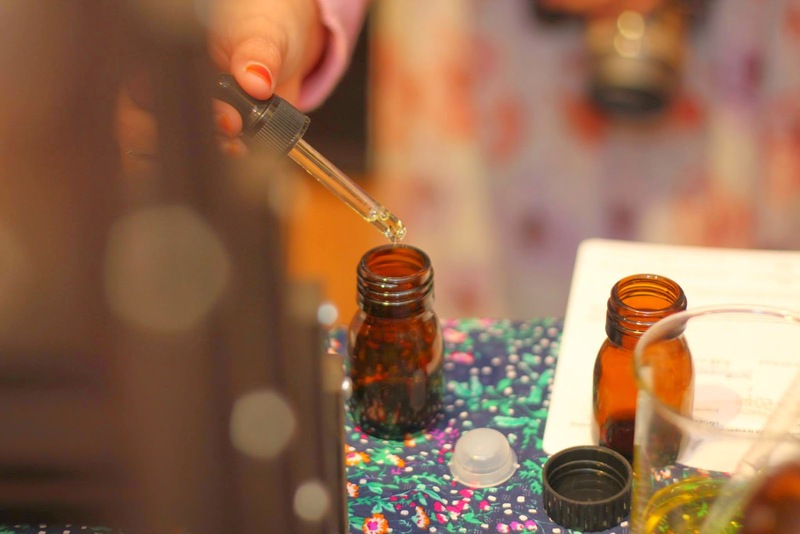 Because seriously, a fun perfume making session deserve a whole blog post to itself. Thank you for Butterfly Project for this amazing opportunity once again! xoxo.